The kids have had lots of school projects lately. Lots of homework in general! Two weeks ago it was all about making 3D models of the Earth. They each had grand ideas in mind, but ended up having to scale down for a variety of reasons. Eve’s plan was a Jell-O/brownie Earth. 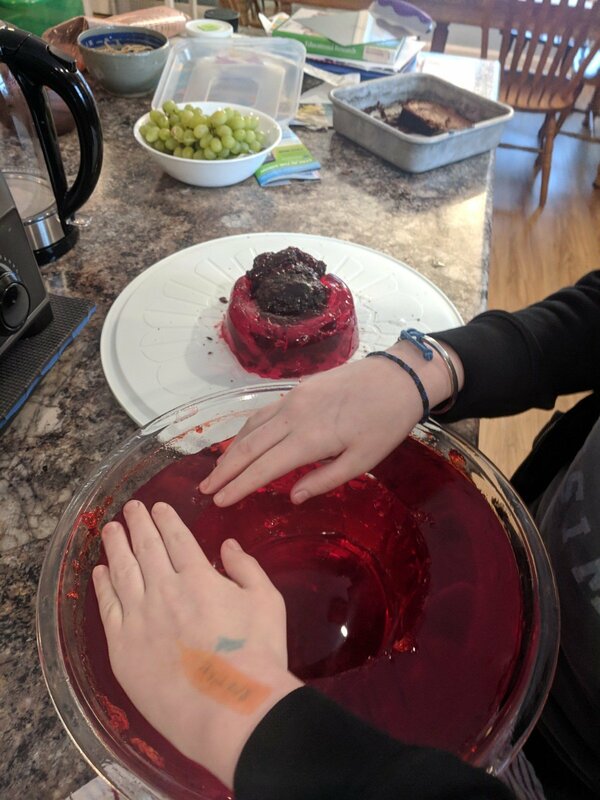 She planned ot use brownies as the core, different colored Jell-O as the layers, and fondant as the crust, with fondant continents as well. It was a grand idea, for sure! Implementation was a little trickier. At first she wanted a full globe, but I talked her out of that. 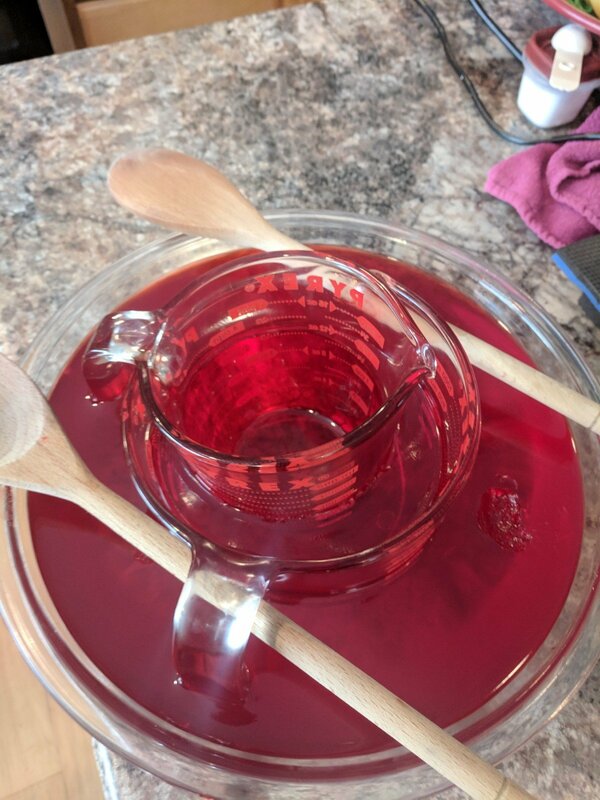 There’s no way Jell-O can support itself in a full sphere! She settled on a half-sphere. The next question was how to make perfect half-spheres in an layer-able way. We came up with this. Not exactly perfect, or even close to perfect, but she tried! 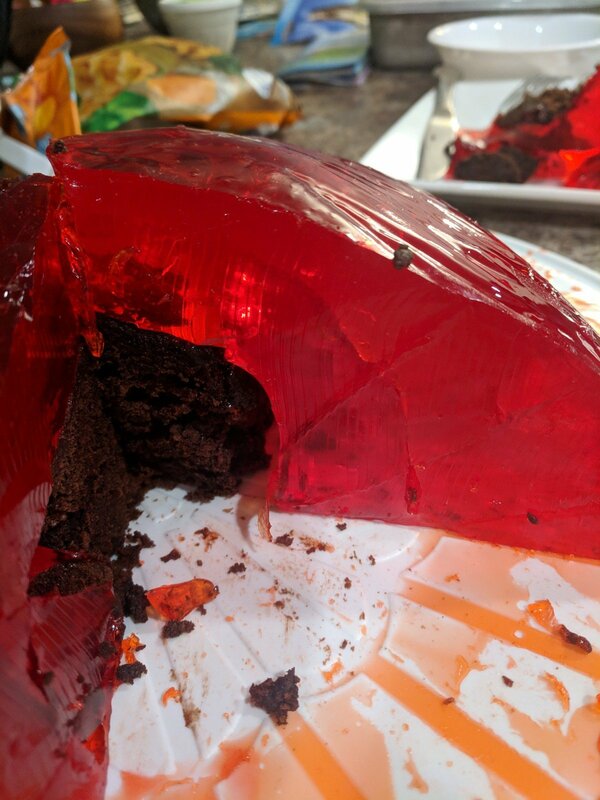 Layers of Jell-O in containers. Then she baked some brownies for the inner core. The challenge came when we had to get the Jell-O out! There are some preventative measures we could have taken, but we didn’t, so it was all pretty stuck! The core inner core and outer core. Working on getting the mantle out next. 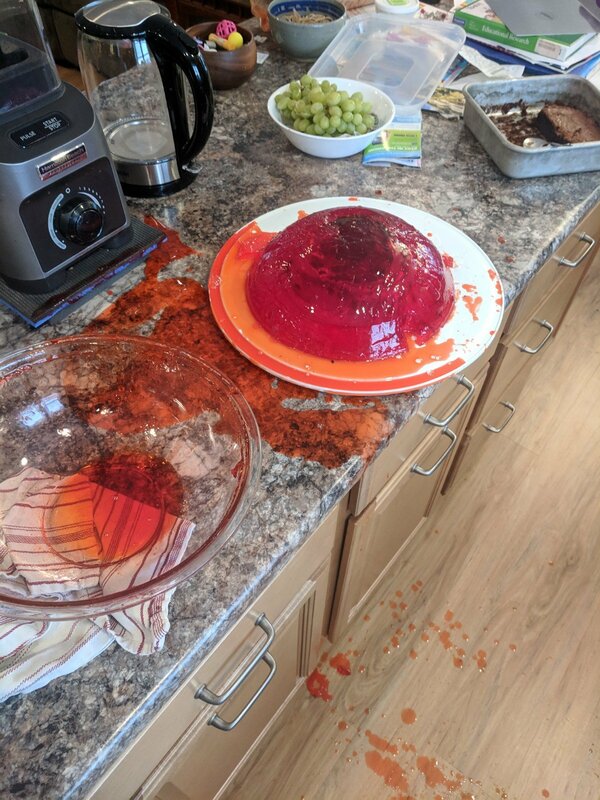 Things got a little messy with the final layer of Jell-O! We discussed some salvage efforts, but she decided to just eat the Jell-O and make a paper project instead. 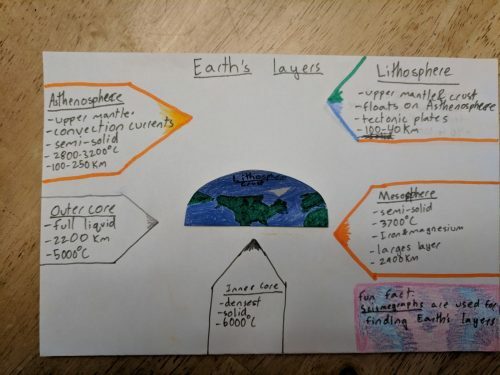 Quick and dirty chart of the Earth’s layers. The assignment was for a 3D model, so she made a few life-up flaps. 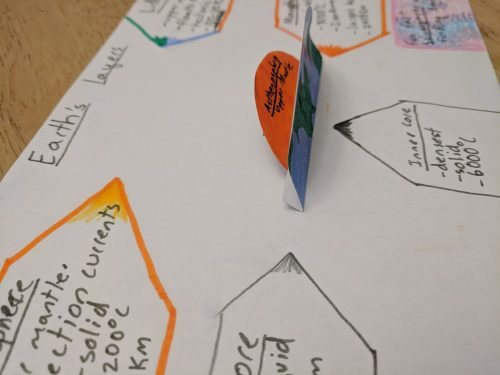 She decided to also make a slide show with these photos, so her teacher knows that she had bigger plans and the paper wasn’t her only idea. Eve used all the pictures I took along the way and added her own captions to the slide show. The teachers got a good laugh! We were eating Jell-O for days and days. Drum lessons are over now so I’m just going to post this here and write another one (soon?) with Lex’s science project. Maybe I’ll get around to writing about their ELA projects from this week too. All are pretty cool.